Holika Holika Aloe 99% Soothing Gel is a lightweight moisturiser with Aloe Vera extract. The soothing gel helps to relive irritated and stressed skin from harmful environmental factors or dehydration. Its gel type formula penetrates deep within the skin but doesn't leave skin feeling greasy or sticky. Furthermore, natural components in the gel make it suitable for the entire family! Great for all skin types! 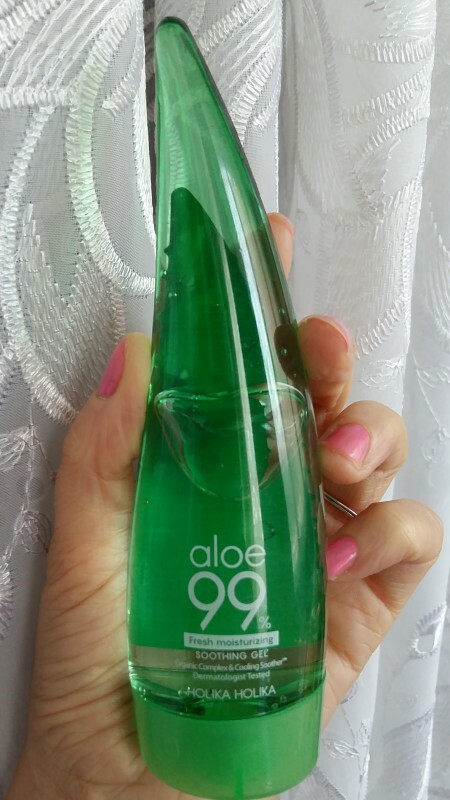 Aloe Vera juice - is a unique tool that has long been famous for its healing properties. Gel not only moisturises your skin, but also promotes healing of minor skin injuries. Reduces discomfort and irritation after shaving, it helps with burns, reduces inflammation and eliminates pain after sunburn, copes with peeling and makes the skin extremely soft and velvety. The gel is quickly absorbing and refreshes the skin. The gel, in addition to aloe vera juice, also includes: lotus, bamboo, cucumber, watermelon, cabbage leaves and centella asiatica extracts. Paraben free, alcohol free, mineral oil free, natural. Spread it evenly onto your skin. 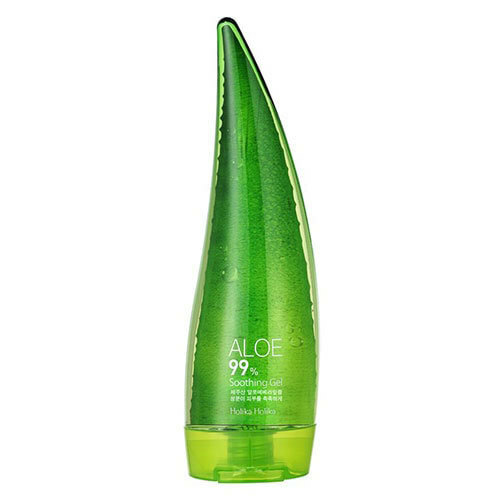 Last week I bought Holika Holika Aloe 99% Soothing Gel tempted by the approaching Black Friday sales and a promise of deep hydration (just the thing I need at winter when the air is dry). The gel appears to be thick but upon application is soon feels watery, and to my amazement, is absorbed by the skin within milliseconds - a true record time for any moisturizer I've tried. The effect is instantaneous - the skin feels velvety to the touch and supple. However, once I noticed a slight tingling on my cheeks before the gel absorbed, I guess it was due to the fact that the wind was extra harsh that day and they got too weather beaten, and not because the gel had some adverse effect. The packaging looks cute from afar, but at the close examination the plastic is very cheap. The bottle's cap is tightly screwed, so no danger of leakage, and due to a rather small size of 55ml the product can be a carry-on item. In general, I am very satisfied with this beauty product and can recommend it!